I had to look it up to be certain of its meaning (I was right as it turned out); "quo vadis" is Latin and means "Where are you going?" It seemed somehow appropriate when considering the fortunes of the great Italian team. Plus, quoting a bit of Latin or Greek always gives one an edge in the classy stakes! Domenicali: He is totally happy! What do you think that he would say? For sure he is not happy. This is normal for his position. I am not happy too. The only thing is that we need to make sure we do our job in the right way, and that is it. The wry humor in Stefano's first sentence is the giveaway; in that we can see the enormous pressure from above that demands the team be successful regardless of circumstances. Luca is running out of patience and heads will roll if the team does not return to its winning ways soon. Who would be in Stefano's shoes at the moment? I feel quite sorry for the guy; he strikes me as being an honest, likeable personality who has been dumped into a situation that was never going to be ideal. Luca's ambitions for the team required that he be right in getting rid of the Todt/Brawn/Schumacher triumvirate and it is not Domenicali's fault that he has been inadequate to so monumental a task. Whether Luca likes it or not, he made the wrong decision, opting to change a winning team for a gamble on new personnel. What is most surprising is the length of time it has taken for the change to have an effect. The team had been built into so efficient a unit that its degeneration has taken two years and supplied last gasp championships on the way. To some extent, this gradual fading from greatness has been disguised by McLaren's problems; it helps when the main competition is also in disarray. But the signs were there in increasing unreliability of the cars, horrendous organization in the pit crews and unbelievably bad strategic decisions. The decision to gamble on wet tires for Kimi in Sunday's Malaysian GP is merely the latest in a long list of poor choices by the team. Gambling on tire choices is for teams in trouble; teams leading the charge have no need for such dubious tactics to lift them above their natural positions. It was a desperate attempt to gain a win where no win was possible in view of the shortcomings of the car. And Luca is responsible - it is the pressure from him that results in the team making bad decisions when things are not going well. Instead of trying to improve their position through chancy tactics, the team should be working quietly on improving the car and eliminating organizational mistakes. An example is their persistence with KERS. Their system has been the most unreliable of all and may well have something to do with the problems experienced in making the car handle well; they need the flexibility offered by more ballast. In Sepang, Raikkonen apparently demonstrated his dislike and mistrust of KERS (understandably so, given his experience with battery fumes in practice) to the extent of qualifying with the system switched off - the team should take note and take the thing out of the cars. But that is just one example. Engine reliability needs to be a priority too, ironically so since it seems that the tweaks to the engine in the name of reliability last year have merely served to make it break more often. The pit stop lights system needs to be abandoned in favor of a return to the lollipop man - why persevere with something that cost them two races last year and could easily do so again? What Domenicali and the rest of the team need is to step back and take a realistic view on the matter. Forget that this is Ferrari they are working for, face the fact that their car does not have an advantage over the rest this year (although it is still a very good design) and work in a more relaxed atmosphere to solve their problems. Unfortunately, that requires that Luca be told to keep his nose out and go sell road cars or write speeches for FOTA. That is not going to happen, of course - even Jean Todt lost the battle for complete control of the team. Our expectation must be, therefore, that the degeneration of the Ferrari team will continue and Domenicali will soon find himself replaced. The great days have gone. Interestingly, Pitpass has an article today that recommends a similarly frank statement to the bosses of F1. Who might have the standing and power to be heard by them is another matter, of course. Funnily enough, the only possible candidate might be Luca di Montezemolo in his capacity as president of FOTA and head honcho at FIAT/Ferrari. Somehow, I suspect that even that would not be sufficient to awaken the panjandrums of F1, however. Finally, in my present mood of saying "I told you so", I would suggest a read of an article in the Williams team's iWitness column. Three drivers were feeling rather below par over the weekend in Sepang apparently, leading iWitness to comment that they should not be so run-down this early in the season. Is it possible that my thoughts on the drivers' weight loss over the winter are being vindicated already? The only indication of ‘cool’ in the Ferrari camp at Malaysia was Kimi caught on camera, all dried out in shorts and flip-flops casually nibbling on an ice-cream - while everyone else endured the outside deluge and tried to make sense out of what was happening. Yes, a Kimi fan. Yes he appears to have lost that ‘special’ spark. A fading car can’t help much, but I tend to think there is something more. Hopefully both will rally, but without some political assistance the odds seem to be against that happening soon. Luca. If it isn’t broken, why fix it! David: I was once a Kimi fan too and still regard him as capable of turning on the talent - when he feels like it. Everyone expected the combination of Kimi and Ferrari to be unbeatable but it hasn't turned out that way. We missed the point that some drivers suit certain teams but not others. Kimi may be happy at Ferrari but there was something about McLaren that drew the best from him. It may well be that he is best when he is not comfortable and is instructed on how to behave, no matter how much he hates that! I guess if someone gives deMontezemolo a time machine for Xmas he will go back to the day where he told Ross Brawn that he wanted an Italian team principal rather than an Englishman. Domenicali is a breath of fresh air at Ferrari in his approach to the media and the opposition but too many changes were made too quickly. Losing Byrne was unavoidable as he clearly had no interest in staying. Todt and Schumacher were forced out by deMontezemolo and Brawn after a sabatical was told that he would not be given the job he clearly thought was his for the asking. No-one is indispensable but to remove the entire top tier of the team in the space of a couple of years was always going to be a bad idea. Any team can design a bad car. Especially when new regulations are brought in. However they must always do the basics right. The traffic light saga should have been a one off and resolved once and for all by its immediate withdrawal. The decision to run KERS when it is patently not ready is a bad mistake. I think if Todt and Brawn had been in charge it would have been removed on Friday night as a safety issue. If the car is not performing pick up as many safe points as you can. For me though the tactical decisions are unfathomable. This was the slickest tactical team around with the ability to dream up new optimum strategies on the fly and in Brawn's last season in Maranello he claimed that others had taken on that duty. Putting Kimi on to wet tyres on a 100% dry track was crazy and I posted a comment using that word on sidepodcast at the second the facts became clear. Intermediates would have been crazy but full wets? Then I read on Sunday night that the brain behind this decision was none other than Michael Schumacher. The mind boggles. Possibly worse even that the decision to put him on wets was the decision to keep them on them for lap after lap. That to me suggests that either they didn't want to admit the mistake or no-one wanted to be responsible for pulling Kimi in to the pits in case the rain should re-appear at that minute. The decision not to put Massa out for a final run in Q1 I simply don't understand. The track was getting quicker all the time and everyone was on soft tyres and guaranteed to beat their earlier times. If they wanted to save a set of tyres send him on an out lap and with a couple of corners to go either tell him he has to go for a time or pull him straight in and have a set of tyres that only have an out lap. I still worry about Massa. His panic on the radio for a helmet with a clear visor as if it was a matter of great urgency shows alack of what Sir Jackie would call mind management. The track was under water and a monsoon was under way. He had time to go back to his hotel for a helmet but he was in panic. Rob Smedley reply though was hysterical and only rivalled for sound bite of the season by Sebastien Buemi's plaintive Nooooo! when he went off in qualifying while on a quick lap. To be fair to Schumacher (and the team! ), it does appear now that the story about Michael making the tyre decision was a fantasy of a bored journalist. But your assessment is spot on otherwise, I think. Does Rob Smedley go from guru to ghoul from now on? I recall your "Schumacher vs Adrian Newey" article! Never heard of Newey intervening decisively in race strategy, but on the other hand perhaps Brawn's greatest true innovation was either the moveable floor or the grey diffuser ;). Brawn's cars have been fast and tough, though. Rob Smedley is Massa's race engineer and in that role he is doing a great job as far as I can see. When Massa hit the panic button about getting a helmet with a clear visor Smedley defused the situation immediately with a response that probably does not comply with Ferrari radio procedures but got the point across to Massa as clearly as possible. Peter: I think you've said it all, although I don't think Brawn gets enough credit as an engineer. Even if he does little more than concentrate the minds of other engineers, his influence on the design of the car is an important factor. I would guess that Brawn's strength is in seeing the big picture and allowing others to attend to the details. Newey is the guy who searches for things the others are not noticing. He missed a trick on the double diffuser idea, however - and that was even with a heavy hint from Brawn that there was a loophole in the relevant regulation. Steven: Ah, I see now what you mean. When you said Smedley's comment was hysterical, I took it literally, not having heard the comment myself. Now I see that Smedley was being his immovably sensible self and that you found the comment hilarious. Smedley's value to Massa is obvious and it might be that other teams should consider taking on stolid northerners to keep a sense of proportion amongst the staff. can ferrari actually forget they are ferrari? this might actually strain some cosmic moment of zen ...maybe if they all donned saffron nomex robes, chanted a mantra and meditated on the next flight out of italy en route...why not? nothing else seems to be working for them. and they are currently on the road to nowhere so why not? i think it was the tire change that dropped my jaw and started me thinking this may not get much better for them...and makes me wonder about mclaren and renault, too. guess we'll see sometime in july. interesting thought about the driver's weight. i could not say if this is true or just a theory but, i seem to recall hearing or reading in the lead up to this season that one reason driver's had become more weight conscious than a herd of 12 year old gymnasts is to counteract every oz of the weight of kers? and what is micheal's purpose these days? he keeps turning up so obviously he's invited (and i'd say paid to do it, but that's just cynical l'il 'ol moi) and maybe doing something...but...what? advising on...whatever? previous contractual agreements? que? Vera: Well, I don't seriously think the team can forget that they're Ferrari - it was just the thought that need to be rid of the feeling that Luca is watching their every move. And it would help if he did go off and do something more useful. You're right that KERS had a lot to do with the drivers losing weight. It becomes a bit ridiculous when such lengths are gone to just to make an inappropriate bit of kit more viable. Now there are even suggestions that the minimum weight of the cars be raised so that KERS can be more easily squeezed in. What's next? Make the non-KERS teams run with 100bhp less so the others can catch up? Good grief, wouldn't it be easier just to tell Mosley where he can stick the whole idea of KERS? as disastrous as Ferrari's season has been, they trail McLaren BY ONE POINT and are only 4 points out of 3rd place in the constructors. So Far, two teams have got it right. ONLY two teams. Clive, this is where you make anti-Ferrari comment #2,074,9543,925,927,296. Ferrari Strike me as the F1 version of Chelsea. Those in power sit bak and revel in the success when everything is going well but as soon as their massively high standards are not met they stick their noses in too far and make things even worse. Maclaren are only just the 1 point in front due to the deception of the stewards. In racing terms they really have 6 points. Not counting the first races deducted points may make ferrari look like they are not much worse but in reality the people at the top will have noticed that Mclaren have managed to get their worse car into better positions. Yes Lee, we do not count points earned by blatantly and purposefully lying to the stewards when there was in fact no reason to do so. Without misleading the stewards, I am convinced they would have certainly earned no worse then 4th place points. Q. Why would Ferrari want to bring back Ross Brawn as team principal at the end of his sabbatical? A. To ensure he isn't team principal somewhere else and having to race against him. I shook my head when that went down, figuring either Brawn's demands were unreasonable or Ferrari were extremely confident that they didn't need him. Meanwhile, Brawn is team principal elsewhere and his cars are fast, strong, and reliable. Where have we seen this before? I assumed everyone had heard the Massa / Smedley radio conversation but since that is clearly not the case here a a ten second transmission from Buemi when he pushed too hard in quali and ended up in the gravel. Isde97: When Brawn first went on his sabbatical, I predicted that he would never return to Ferrari. It was obvious that Luca had started a process of Italianisation within the team and Brawn was not part of his plan for the future. During that year, while Ross was away fishing, the process continued, with Domenicali settling into the position that Brawn thought would be his for the asking. When the time came to talk with Ferrari, all the positions were taken and the team fobbed off their former tactical genius with offers of jobs that they knew he did not want. Brawn saw how things were and took up the Honda offer that he had kept as a safeguard. As you say, it is rapidly becoming obvious that Luca made a huge mistake in his reorganisation of the team. Brawn is proving that the real genius behind Ferrari's long reign of success was himself and Michael Schumacher's greatness was in insisting that they hire Ross in the first place. Except from the fact that Brawn left the team and Todt lost his interest to lead the team after the Jaggernaut Ferrari was during Schumacher tenure I agree with the rest of your excellent post. I am not sure if Di Montezemolo is the one to blame for having dismantled such succesful team, but if true, he kill the golden-eggs hen, a simple rule about team work is the dangers of taking so many critical personnel at the same time because its impossible to determine which factor or character is the key point to keep the team working right. In the case of Ferrari, IMO, there was no clear key person; it was the unique combination of technical, estrategical and driving skills that pushed forward all the R&D Maranello cleverly put into place under Ross Brawn direction. I doubt that Ferrari could have achieve all the success if youhave taken out 1-2 of the key people there. 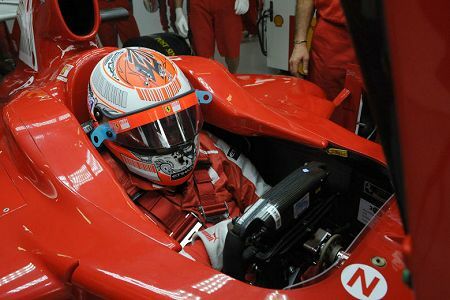 They are not longer there, doing their best, so Ferrari is not a threat anymore. It's a waste to see Schumacher on the pitlane, being blame for Ferrari misjudges, people forget he's a racer. It was illuminating to read your opinion about Ferrari debacle being disguise by the fact that Renault lost its design ingenuity and McLaren lost its principles about participating in F1. The only merit in 07 and 08 was to built the faster racecar, with no reliability, no estrategy, no capability to ensure a good pit stop. Benalf: Thank you. I think it's important to remember that Montezemolo is involved with the team to a much greater extent now than he was in Jean Todt's day. That's fine, as the chief executive officer, he has the right to get involved. But he should also realise that doing so makes him responsible for the performance of the team. If things go wrong, he has no one but himself to blame. We all know that the buck stops with the head honcho, after all.